Celebrating Rakhi With Cousins – How To Make It Special? 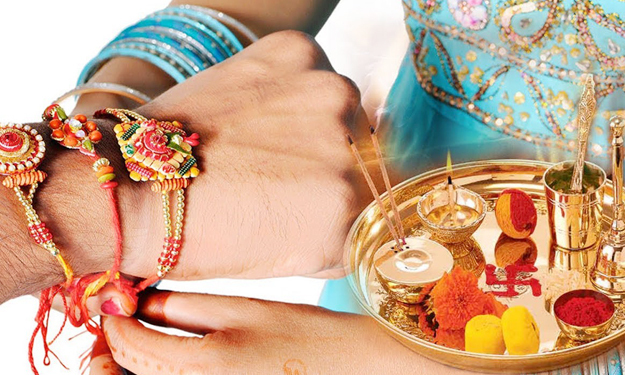 With the onset of the month of Saavan and the aroma of gujiya, phirni, ghevar and a number of other delicacies around the market and the visible variety of different rakhis flooding all the online and local markets, it is finally the time to realize that the auspicious occasion of Raksha Bandhan is on its way. Apart from just buying the rakhi sets and rakhi gifts and having the special delicacies, this particular festival teaches us a lot of other things. Brotherhood, love, perseverance, patience, and emotions are just to name a few. So this year try not to make this day same as the previous years. Make sure that you and your cousins have a great time together and do something out of the box. After all, with all these passing years, the bond between you and your cousins have just become stronger and it is just the right time to celebrate that special bond. Throughout the year, every one of us has to lead a routine life filled with work and responsibilities from school, college, office, and home. So this time, give yourself and your cousins a break they all have been looking for. Organize a mini holiday or at least a picnic at a resort or an amusement park, where you would get to enjoy yourself to the fullest along with your cousins. Moreover, you can also arrange for a themed photo shoot at an extravagant location and get a set of 5 rakhis and express your love for your cousins through a series of theme photographs. Cherish these memories as the days you would leave behind would never back to you later! Now, what is a festival without the presence of all the family members? This year celebrate the day of Raksha Bandhan with your family by organising a grand family party. Here each and every member of the family gets to invite his or her brothers and sisters and all of you can celebrate the rituals together. You can easily buy the affordable rakhi sets comprising of a set of 5 rakhis and have a bash. Plus, you can arrange a round of all your favourite board games and enjoy them with your cousins and other family members. Have you ever realised the fact about how lucky you are that you have so many brothers and sisters to celebrate the day of Raksha Bandhan? If not, then this year make sure you pay a visit to a nearby orphanage along with your cousins. You would get to see how happy those children would be when they would see you all with a set of 3 Rakhi and lots of sweets and gifts. number of empty hands waiting for these cute little rakhis every year. I enjoy writing and I write quality guest posts on topics of my interest and passion. I have been doing this since my college days. My special interests are in fashion, Jewelry, travel and following the latest trends in these areas.